Target is officially seasonal chaos! Fall, Winter, Halloween, Thanksgiving & Christmas! You can’t help but walk around and start getting anxiety over home decorating!!! Have I made you take a deep breath yet? Does the idea of the holidays approaching bring you joy or anxiety? Peace or stress? If you are anything like me you have hopes and wishes for what kind of holiday season this will be. 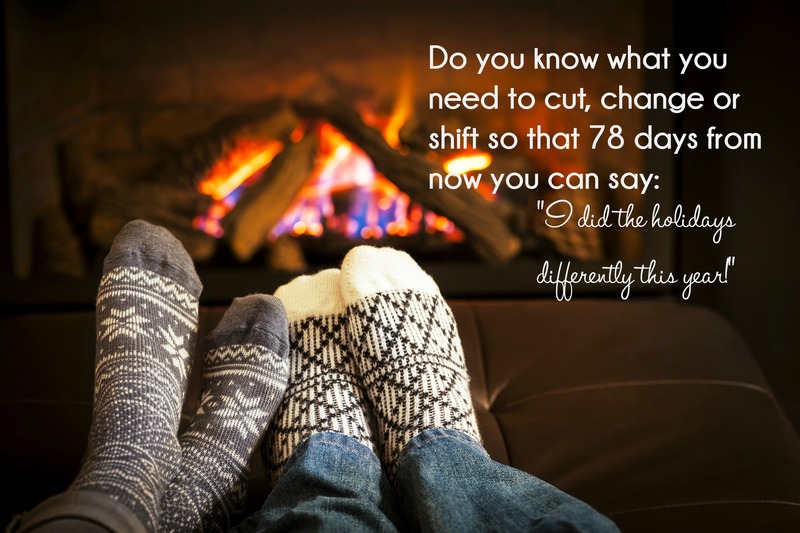 Maybe you want to simplify, stress less, or have all your shopping done yesterday. Maybe you just want to laugh and smile and not have a family drama meltdown. Or perhaps you want to center your family time around the purpose of thanksgiving and celebrate gifts that come in the form of baby Jesus rather than wrapping paper. Personally, I have this vision of sitting in a fancy log cabin, with snow falling, a crackling fire place, a fresh cut tree strung with popcorn garland made by my kids while I dine on waffles and quiche. I have no idea where that comes from but it wiggles around in me. Whatever your dreams are for this holiday season do you have a plan to get you there? Not kidding. If I really want to sit in a log cabin on Christmas Day then I probably should have booked that years ago. Are you being intentional about what will make your holiday hopes a reality? We tend to think that our desires will magically come true but the truth is unless you take a hard look at what needs to shift or move from previous holidays you are most likely going to achieve the same results as you did last year and the year before that. Last year was my first year not working outside of the home full time. I had all sorts or hopes and grand plans that I knew were not realistic. So I sat down with my calendar and my values (faith, family, friendship, creativity, and balance) and made a Holiday Priority Plan and while not executed to perfection I walked away feeling like I had a WIN of a holiday season plus the tools to keep growing this year. I want to be able to offer you the same joy that comes from working a plan designed unique for you. This is where I shift into feeling like a car sales (wo)man….I promise I am not. The last car I bought was a Scion so I didn’t have to wheel and deal. 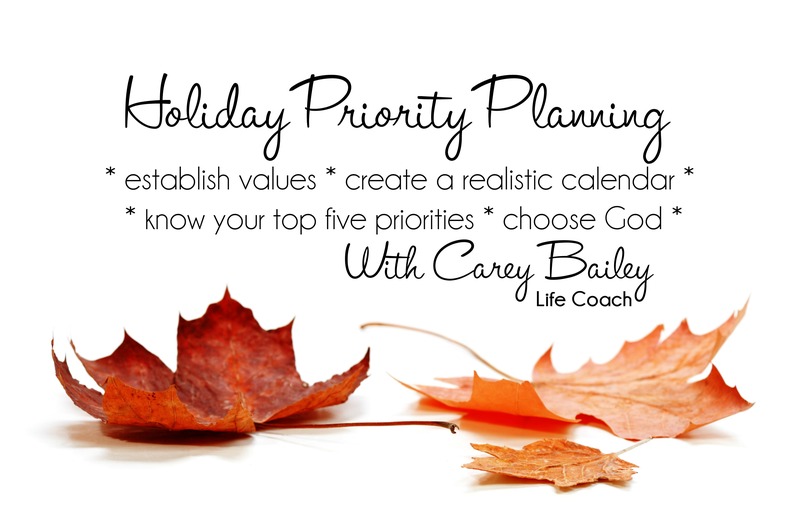 So how does Holiday Priority Planning work? Determine your core values and define why they are critical to you. 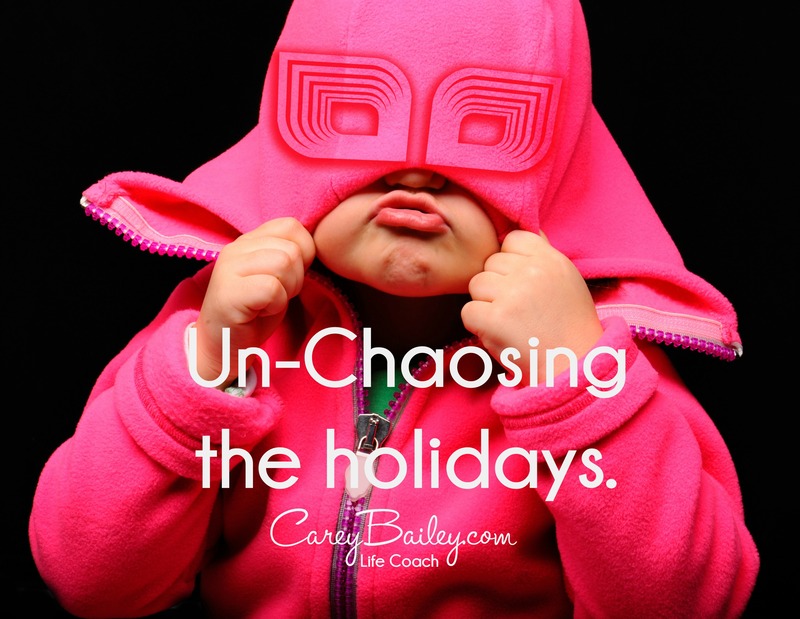 Evaluate your values against your current holiday calendar plans. Establish the top five things you want to have, do and be during the holidays. Give you confidence to lean on God as the ultimate source of strength for your hoidays. This is typically a $120.00 package but I really, really, really, really want you to have this so I am going to put it out there for $70.00. I can promise you this is worth the investment Schedule your first session here. Please let me know if you have questions I am always happy to answer them.